First, I want to say CONGRATULATIONS!!! Finally. Finally, the 9/11 First Responders that are sick and dying as a result of working down at the pile, have healthcare to take care of them. Healthcare that now includes cancer. It doesn't cover all cancers, so there might still be a fight, but it is certainly better than it was. It has been a long fight. I know. I have been there since almost the very beginning. I, like many others, have done my best to be supportive of the 9/11 First Responders. To try and bring attention to their issue. I started an archive the day James Zadroga died that has been maintained for years. In January 2007, I held my very first fund-raiser for 9/11 First Responders. I managed to raise $3,290.00 that time. When Mike Bloomberg said that James Zadroga wasn't a hero, people like me were there to get Mike Bloomberg to apologize. Every time the FealGood Foundation went to Washington D.C., I did my best to promote their trips, and the resulting videos. As I said, it has been a long fight. A hard fight. Because it is difficult to get politicians to do the right thing, sometimes concessions have to be made. 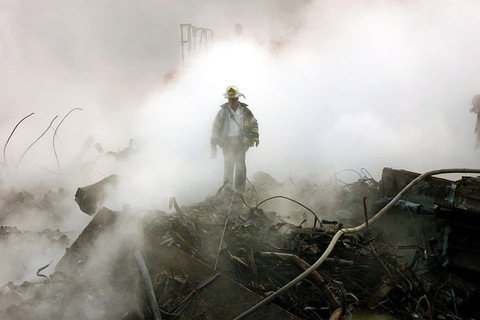 Long ago, several 9/11 First Responders were very supportive of the "9/11 Truth Movement." Because of antics in the "9/11 Truth Movement," many 9/11 First Responders started to disassociate from the movement, and understandably so. However, another reason that 9/11 First Responders started to shy away from people in the "9/11 Truth Movement" was because being associated with that group, a group that has been relentlessly slandered and ridiculed by the "mainstream media," meant that it was harder to get politicians to do the right thing. In other words, if the 9/11 First Responders wanted the politicians to play ball, they also had to play the game.